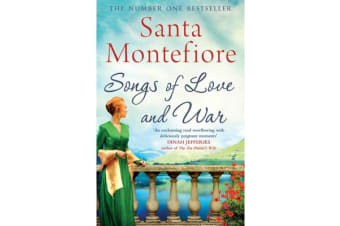 Welcome to Castle Deverill, and the incredible sweeping story of love and family from bestselling author Santa Motefiore. Castle Deverill, nestled in the rolling Irish hills, is home to three very different women: flame-haired Kitty Deverill, her best friend and daughter of the castle’s cook, Bridie Doyle, and her flamboyant English cousin, Celia Deverill. When war breaks out, their lives will change forever. Wrenched apart by betrayal and swept to different parts of the globe, their friendship will be tested a thousand times over. But one bond will keep them together forever: their fierce and unwavering longing for Castle Deverill and all the memories contained within it. Fall in love with beloved bestselling author Santa Montefiore’s epic tale of romance, secrets, family and friendship with this, the first novel in the beloved Deverill Chronicles, perfect for everyone who loves Jojo Moyes, Rosamund Pilcher and Victoria Hislop.